I am an experienced festival emergency and risk manager who has worked at some of the world's largest and most complex festivals, including Burning Man and Glastonbury. In order to elevate the dialogue from the usual complaints and blame in the aftermath of a festival, I want to help to foster understanding and discussion by both festival organizers and attendees. Although I am working solely based off what’s publicly available, I served as a consulting Safety Officer for TomorrowWorld 2014 with a primary focus on weather and site safety and hope to lend some perspective to both sides so we can all learn how to handle these types of severe weather situations better in the future, no matter what festival is affected. Eventually, festival access on Sunday, September 27, was limited only to those camping onsite at Dreamville after the rain and transportation issues left multitudes of attendees without shelter, food or water Saturday night, and decimated festival parking fields, drop-off locations, and dirt service roads. Billboard.com is reporting that an investigation of the fiasco by the City of Chattahoochee Hills will occur. TomorrowWorld’s own refund policy page acknowledged that “continuous and unexpected rainfall over the last three days...severely limited capacity of the parking lots, entrance roads, and drop off locations in and around the festival site, and [sic] led to severe traffic congestion”, but it came off as terse and corporate; it was focused on refunds instead of community dialogue. People still want answers. Hopefully the city’s investigation will provide additional insight into the weather’s impacts on the festival site, but in the meantime, there are the lessons we can learn now from the TomorrowWorld weather debacle. It’s easy to forget that shutting down dirt roads in circumstances of heavy rain is a matter of public safety. In these conditions, access roads quickly become unusable, trapping all attendees still remaining on site, as well as denying emergency vehicle access – both of which can put lives at risk. While it’s understandably frustrating to miss out on the last day of the festival for those staying outside the event grounds, the need for public safety – as well as repairing damaged critical infrastructure – is paramount for all the people remaining on site. Arguing for the importance of road closures won’t relieve the anger of the surprised and unprepared attendees who were forced to walk long distances in order to self-evacuate. Most were left without resources overnight as they lacked adequate clothing, shelter, or food to rough it in the adverse conditions and no emergency resources were provided to them. Planning a festival at a venue with dirt roads and parking lots is always at risk for being rained out. But in this case, festival organizers can learn a ton from the UK, where rain at summer festivals is the norm. 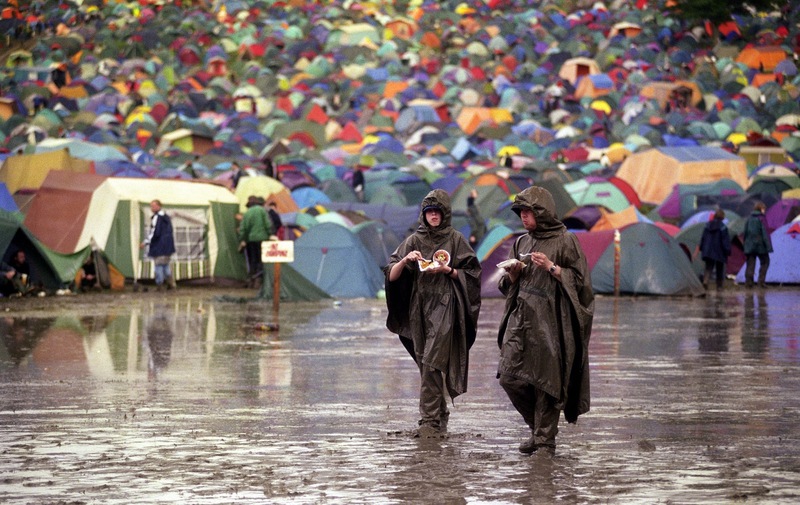 UK festivals use portable trackways in high-traffic areas to allows access to vehicles even when the rest of the site has turned into a mud pit. 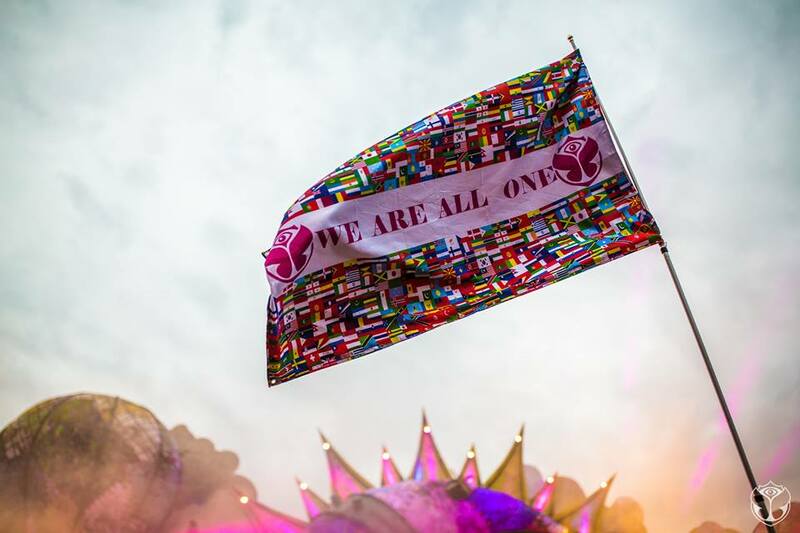 While many details about TomorrowWorld’s plans and measures taken are not yet released to the public, more timely and better communication to the attendees that the site was preparing to shut down due to weather impacts would have improved the attendee experience and allowed them more time to leave before the conditions became untenable. Most importantly, having surge capacity for transportation in the form of additional shuttles on standby would have allowed more people to be safely transported off site before the rain made the existing roads unusable. With rain forecasted two weeks in advance, there is no excuse for TomorrowWorld being unprepared. While the blame doesn’t fall on the People of Tomorrow, there are ways we can empower ourselves so that we don’t have to rely on festival organizers when things go awry. When planning to attend a festival (or travel from home for any reason) we can practice self-reliance in preparing for unexpected weather. For example, smart layers can keep us warm or cool, and costumes and outfits can be both practical and festive. I pack a plastic rain poncho to keep me dry if rain is in any way possible. It’s small, lightweight, and it beats overpaying for a poncho at the festival. When I’m at a camping festival, I always bring more food and water than what I need. I usually plan for at least 24-48 hours of basic supplies in case I get stranded due to weather or other unexpected circumstances – because sometimes even meteorologists cannot correctly predict Mother Nature. Lastly, I don't rely on the same route or means of transport to be available when I need to get home. I research alternatives in advance so I already have routes, as well as phone numbers, for transportation to ensure backup means to get home. The success of a festival is a symbiotic relationship between the festival goer and the festival organizers. Because let’s face it, producers need us there to create the community and atmosphere that’s such an important part of the festival experience. We want to be part of the dialog and make our voice heard and so we need to engage and hold the festival accountable by asking questions about how they will better handle such situations in the future. 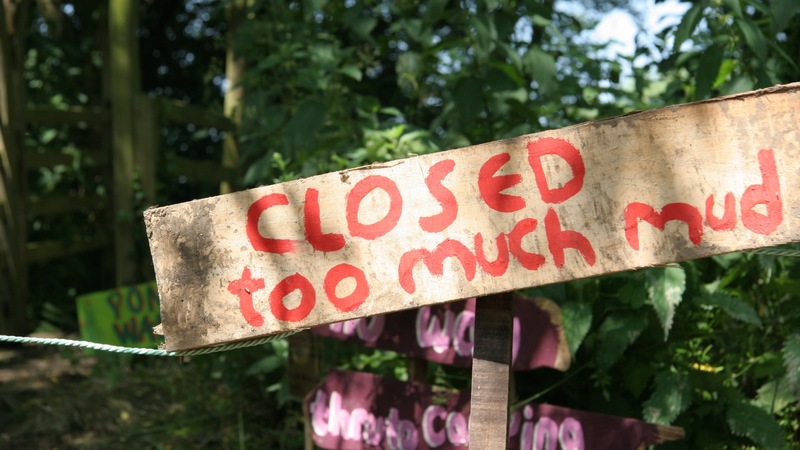 This is most effective when we understand and are sympathetic to the myriad challenges that event organizers face. No one wanted the TomorrowWorld debacle to happen but this can be a powerful learning experience for the entire festival community. Both sides can be better prepared in the future and we should all be careful not to take good weather for granted. If enormous and amazing UK festivals like Glastonbury and its attendees can handle extremely muddy conditions, we certainly can too! Lightning Strikes is a new series that breaks down festival-related incidents to elevate the dialogue about problems to a more meaningful level of understanding between festivals and their attendees. Read more about preparing for disasters in Joseph’s new book The Emergency Survival Manual out on October 6. Available for preorder here.